Your order will ship MONDAY if placed in the next 2 hours 50 minutes . Enter your shipping address zip code to receive an instant delivery date estimate from UPS. Federal Law Enforcement 40 S&W Ammo 165 Grain HST Jacketed Hollow Point ammo for sale online at cheap discount prices with free shipping available on bulk 40 S&W ammunition only at our online store TargetSportsUSA.com. 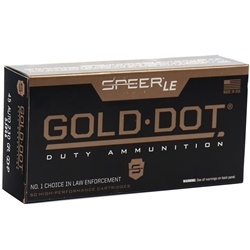 Target Sports USA carries the entire line of Federal Law Enforcement ammunition for sale online with free shipping on bulk ammo including this Federal Law Enforcement 40 S&W Ammo 165 Grain HST Jacketed Hollow Point. Federal Law Enforcement 40 S&W Ammo 165 Grain HST Jacketed Hollow Point review offers the following information; For nearly a century Federal Ammunition has put its focus on manufacturing quality products with cutting edge technology. This dedication to excellence has given Federal a competitive edge as an ammunition technology giant. Today the company is well known for producing high grade centerfire, rimfire, and shotshell ammunition that shooters everywhere know and trust. 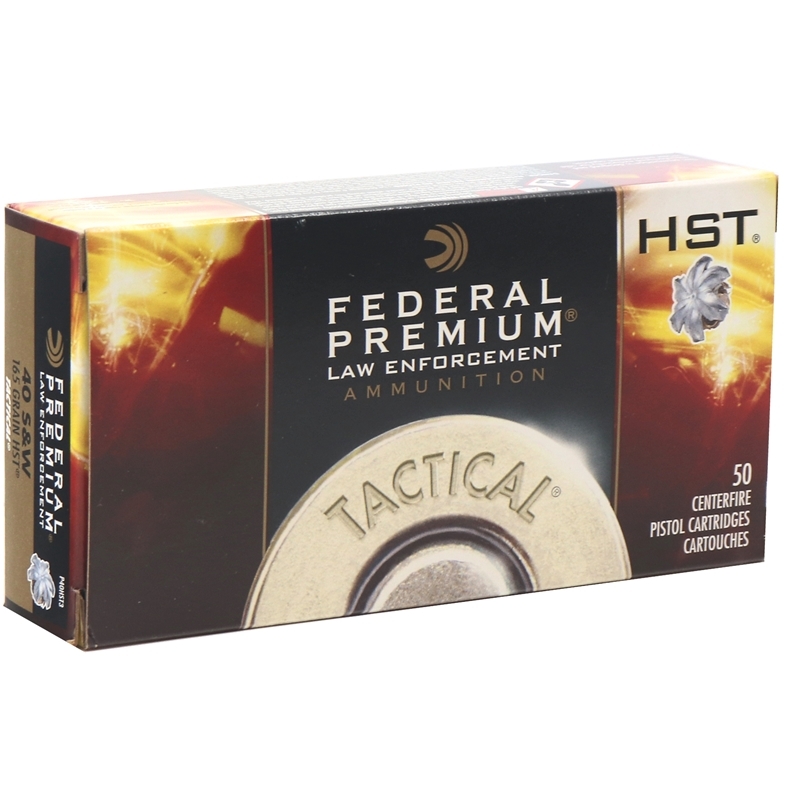 HST ammo made by Federal features nickel plated brass casings for smoother feeding and lower expansion than any other bullet casings including brass. Nickel plated brass can be reloaded for those shooters that reload their 40 ammunition, making it a more practical and cost effective option than other 40 S&W loads. 40 S&W HST ammo also features a non corrosive boxer primer and a HST jacketed hollow point bullet. HST ammo is used by Law Enforcement Agencies throughout the United States and offers unmatched performance for personal protection ammo and duty hours. It is a smart choice to use for target shooting, training, and practice, as well as for a carry option. Target Sports USA offers Federal HST 40 ammo packaged in 50 round boxes, so you can afford to practice with the real thing and be prepared if needed to protect or defend yourself and others. No matter what you use it for, you can be sure the Federal Law Enforcement HST 40 S&W is well trusted ammo that can be relied on to deliver precision and consistency when it matters the most. Muzzle Energy 468 ft. lbs. Great price for performance Federal Law Enforcement 40 S&W ammo. Federal Law Enforcement 40 S&W Ammo is EXCELLENT. BEEN USING THIS AMMO FOR YEARS. This is ammo for my EDC and it fires great, it doesn't have too much recoil, but you can feel the power behind it. HST is what I trust my life with. I carry this ammo in all of my EDC guns.